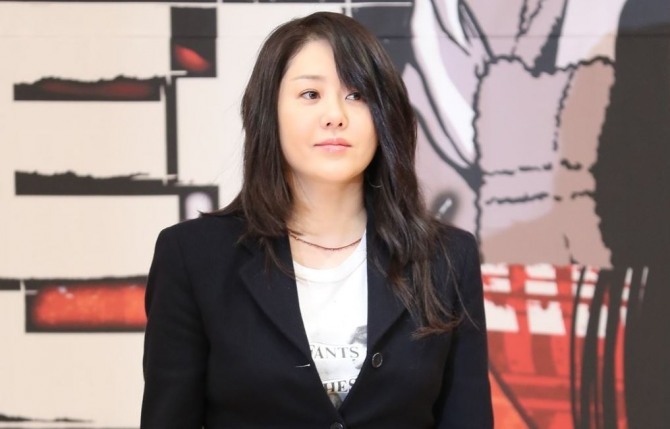 Go Hyun-jung on Thursday made her first public appearance since stepping down from “Return,” in the middle of production, in February. The actress left her lead role in “Return,” apparently due to conflicts with staff members. She had not made a public appearances since. She did not attend the preview of “Winter Guest Scarier Than a Tiger,” in which she plays the female lead role. During a fan meeting held in Seoul on Thursday to promote the film “Winter Guest Scarier Than a Tiger,” Go commented on the controversy for the first time since she dropped out from the TV series.